A Vermont pastor urged voters to “trust women” by supporting an amendment that would create a “right” to abortion in the state constitution. The Rev. Susan Cooke Kittredge, an associate pastor at Charlotte Congregational Church, a United Church of Christ congregation in Shelburne, explained her position Monday in a letter to the Caledonian Record. The amendment, which passed the state Senate earlier this month, does not specifically mention the word abortion, but its primary purpose is to allow the unrestricted killing of unborn babies. Cooke Kittredge said the amendment is necessary because the U.S. Supreme Court could overturn Roe v. Wade in the near future and return the power to prohibit abortions to the states. She claimed it would “guarantee reproductive liberty” to women in Vermont if that happens. Then, the pastor accused men of wanting to control women and their bodies, rather than trust them to make their own decisions about pregnancy and parenthood. We need to question our entrenched cultural distrust of women and summon the courage to face the answers and commit to change. My hope is that everyone will hold the questions in one hand and God’s hand in the other. But she failed to note that society does not also “trust men” to make a decision to kill their unborn babies. If men do, they can be prosecuted under the law. 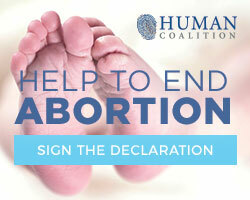 The choice to kill a defenseless baby should not be a choice at all, for a man or a woman. A hearing on the amendment in the state House is slated for Wednesday. The Vermont Right to Life Committee encourages pro-lifers to attend the hearing and wear green. The pro-life organization noted that state lawmakers are obscuring the truth about abortion behind euphemisms, even rejecting the advice of the American Civil Liberties Union and the Attorney General’s Office. “Abortion is the right that must not be named. Instead of clearly stating that protecting abortion is the intent, the Committee adopted the dangerously broad and undefined phrase ‘personal reproductive autonomy,’” according to Vermont Right to Life. If the amendment passes both houses, voters will have the opportunity to vote on the amendment in the November 2020 election. The amendment is at odds with Americans’ views on abortion. A May 2018 Gallup poll found that 53 percent of Americans oppose all or most abortions. Similarly, a national poll by Marist University found that three in four Americans (75 percent) say abortion should be limited to – at most – the first three months of pregnancy. This includes most Republicans (92 percent), Independents (78 percent) and Democrats (60 percent). It also includes more than six in 10 (61 percent) who identify as “pro-choice” on abortion. ACTION: Submit written testimony opposing the amendment to the state House at testimony@leg.state.vt.us. Please indicate in the subject line, “Proposal 5 Public Comment.” Also contact state representatives.